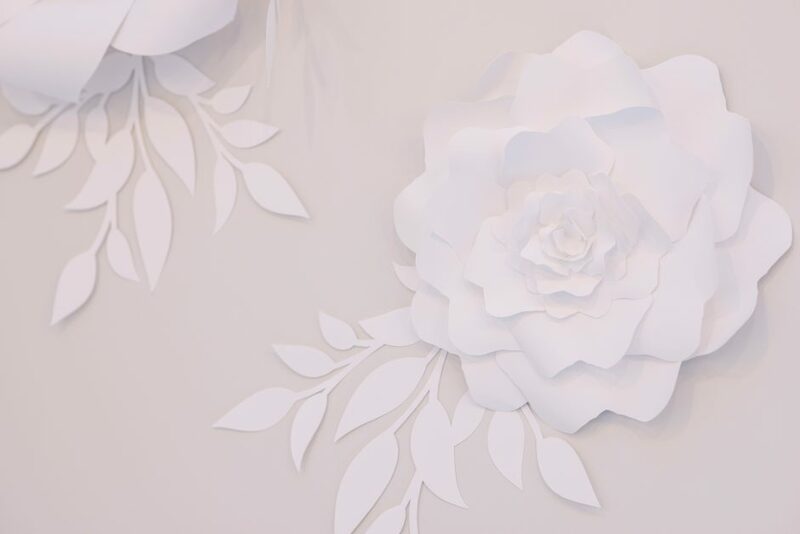 One of our favorite decorations in the new boutique are these handmade paper flowers. We have had so many questions from brides as to where to purchase them, so we wanted to share all the details with you! We purchased our flowers on Etsy.com at Paper Flora! Not only does this shop offer ready made paper flowers in all sorts of colors, they also have the patterns available for sale so you can DIY them for your wedding! Thank you to Kari Geha for the photos featuring the white flowers we chose for our new store!